Amanda G. Jansen is a member of BrownWinick and is a member of the firm’s Employment and Labor Law and Litigation practice groups. Amanda works primarily in the Employment and Labor Law practice area. As a problem-solver for clients, Amanda identifies and manages risks by troubleshooting employee-related issues; drafting, reviewing, and negotiating employment-related contracts and policies; and representing employers before administrative agencies and in federal and state court. She has handled all types of discrimination, harassment, and retaliation cases, FMLA cases, as well as wage and hour matters (individual and collective actions), contract disputes, and employment-related tort claims, such as wrongful termination, defamation, interference with contract claims, and more. Amanda also litigates other civil matters, such as claims involving construction disputes, breach of contract claims, and various other matters, in which she has represented businesses, governmental entities, and educational institutions, as well as executives and management employees. Amanda has been recognized by Chambers USA® as a leader in the labor and employment law area, Best Lawyers® in the area of labor and employment litigation and a “rising star” by Super Lawyers® in the area of labor and employment law. After receiving her B.A. from the University of Iowa in 2001, Amanda attended Drake University Law School, where she graduated in 2004 with highest honors, Order of the Coif. While at Drake, Amanda was active on the Drake Law Review, and completed an internship with United States District Court Judge James E. Gritzner in 2002. After graduation from law school, Amanda served for two years as a judicial law clerk at the Iowa Supreme Court for Justice Mark S. Cady. Amanda is a member of the Polk County and Iowa State Bar Associations. She is also a member of the Iowa Defense Counsel Association, National Association of College and University Attorneys, and Society of Human Resource Management. Amanda is the President of the Polk County Women Attorneys, serves as a Board Member of Youth Homes of Mid-America, and works as a volunteer intake attorney at Legal Aid of Central Iowa. 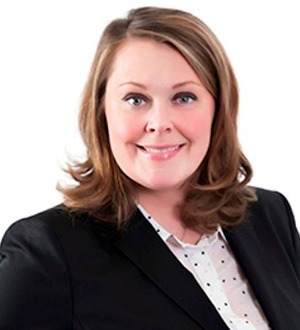 Amanda was admitted to the Iowa Bar in 2004 and is licensed to practice in the United States District Court for the Northern and Southern Districts of Iowa, as well as the Eighth Circuit Court of Appeals.